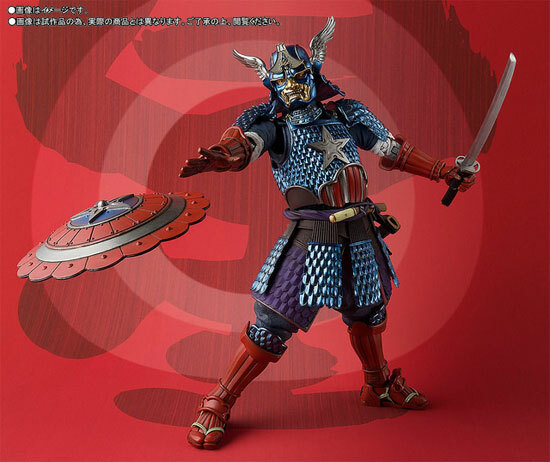 Tamashii Nation has reveal the coming Marvel character under Manga realization and it is none other than Captain America in Samurai form. 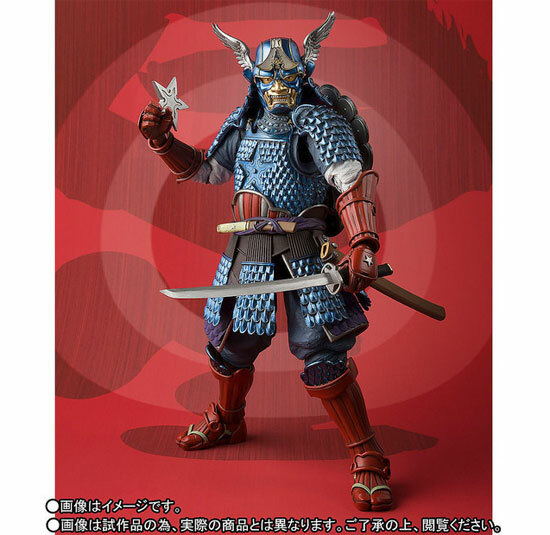 This figure is around 17.5cm tall and it look great with the samurai feel retaining his Red, White and Blue color theme. 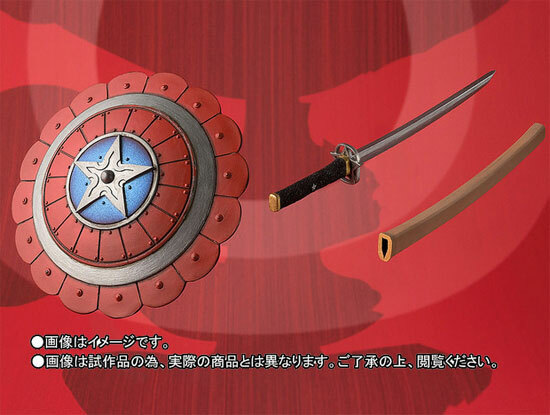 Just like in the traditional Captain Amercia, the shield can be throw. This figure will be schedule to release in january 2018 for the retail price of 9,504 Yen. 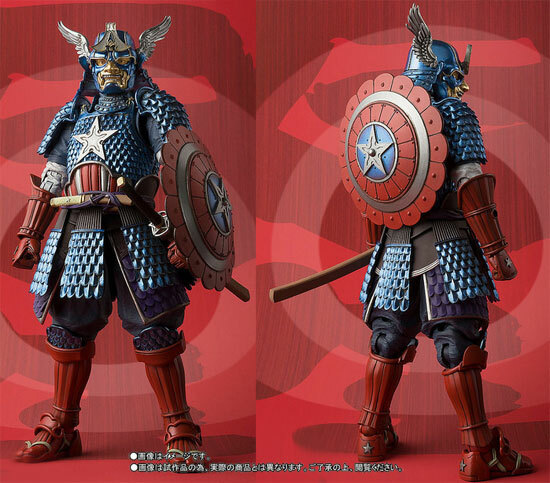 Do you like this version of Captain Amercia?